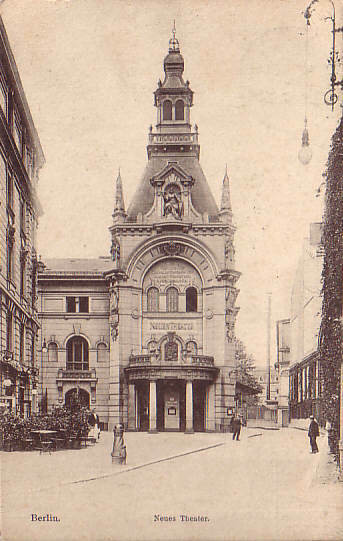 Built 1891-1892 by Heinrich Seeling as "Neues Theater am Schiffbauerdamm" (also simply known as "Neues Theater"). Neo-baroque interior decoration by Ernst Westphal. Opened 19 Nov 1892 with Goethe's "Iphigenie auf Tauris". 1903-1905 installation of an orchestra pit and a revolving stage. 1903-1906 directed by Max Reinhardt. 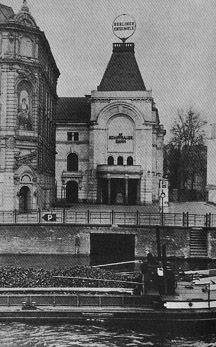 1912 renamed "Monti's Operettentheater", 1916 renamed "Neues Operettentheater". 1925 renamed "Theater am Schiffbauerdamm". 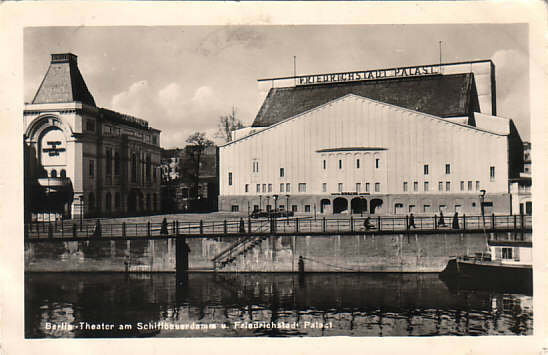 1931 renamed "Deutsches Nationaltheater am Schiffbauerdamm". Damaged by bombs in 1944. Subsequently rebuilding and installation of a "government box" in the auditorium. 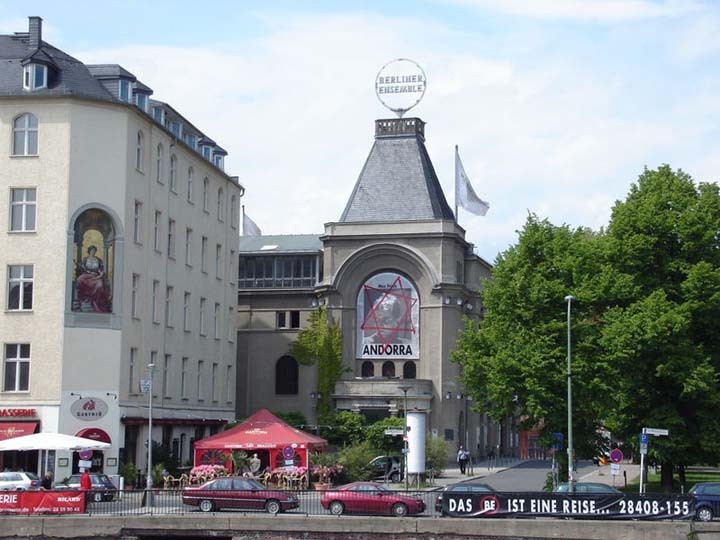 1954 re-opened as "Berliner Ensemble", founded by Helene Weigel and Bertolt Brecht. 1999-2000 renovations and alterations. Originally 810 seats (+ standing), ca. 1940: 781 seats, today: 678 seats.